Yesterday both me and my oldest started losing our voices. Last night, a croupy icky cough started. This morning had me in tears struggling to breathe and wondering how people with asthma can keep from panicking. I. Don't. Like. It. Do any of you, while working on a scrappy, improvised quilt, ever find that some blocks are sort of...meh...and others just jump out at you and go, "Me! Pick me! I'm your favorite!"? I certainly do. This one is my favorite so far. 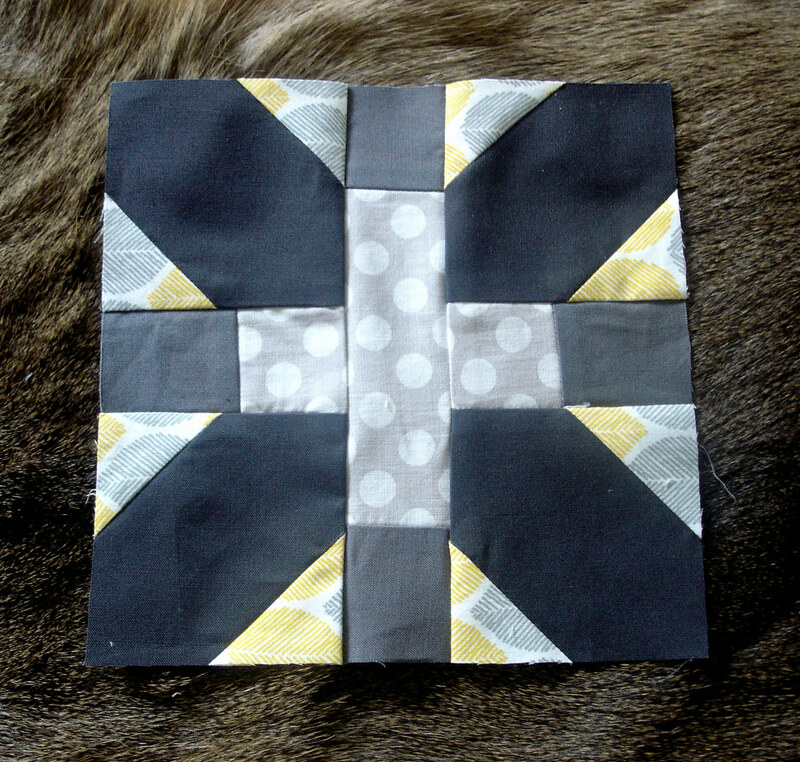 I noticed that I tend to like more graphic quilts and blocks. Busyness and a lack of good contrast makes me feel squirmy and unsatisfied inside. Really. It does. But the bottom line is, I know even those "meh" blocks will have their place in the big picture. Even if their purpose is to make the really cool blocks pop out, still. So I keep them and try not to hate on them too much, because I know that eventually they will be an integral part of the finished deal. There have even been times while working on a quilt that I've thought the whole thing was going to be an unmitigated disaster, and the end result was something that I couldn't believe. Like the Scrappy Sunrise quilt I made a few years ago. I absolutely detested every single improv'd block as I was making it, but once it was quilted...wow. Love was in the air. I'm all for contrast too. 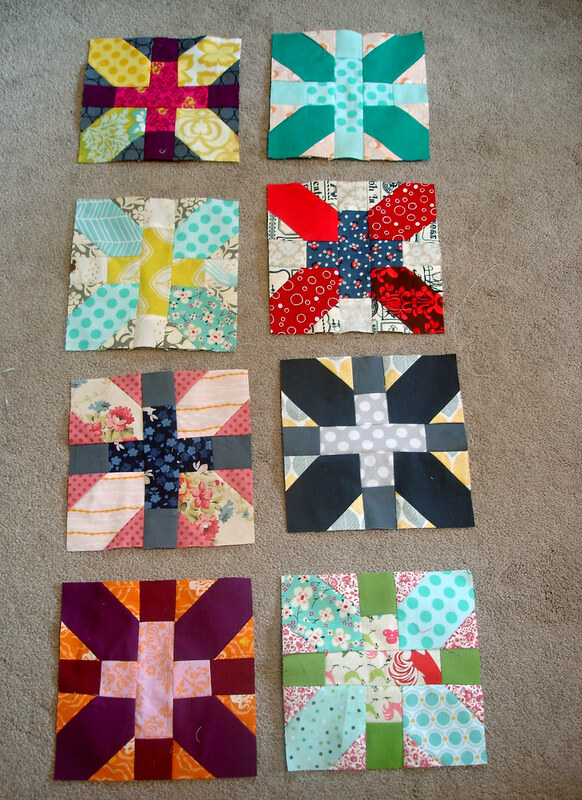 But, it's also true that those washy blocks can give a quilt depth and rest - so overall contrast, perhaps? 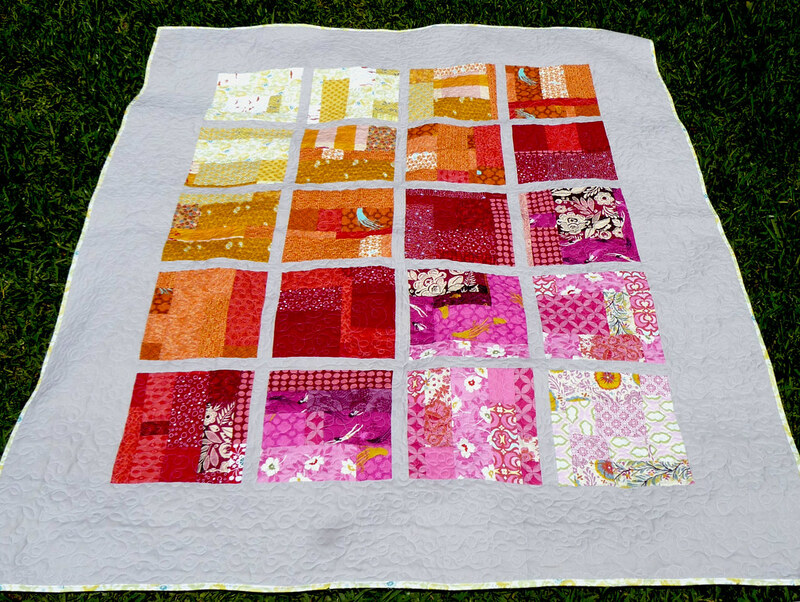 I love the Scrappy Sunrise quilt. The colors are delicious!!! You do so many things - quilt, paint, journal, I love it!!! I quilt and try to write occasionally.